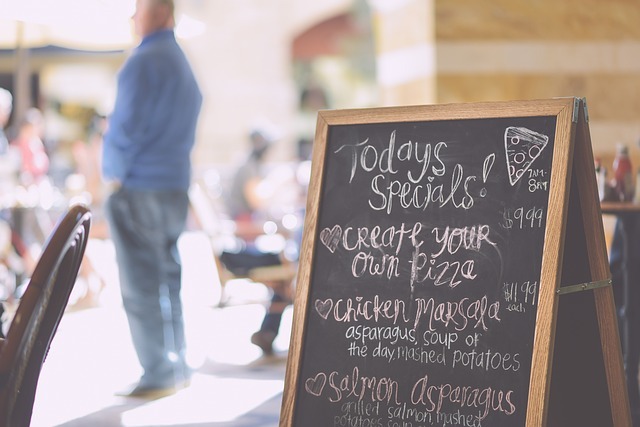 This Foodie Friday I’d like for you to think about menu boards. We’ve all seen them as we dine out. In some places they’re chalk boards, whiteboards in others. Usually they contain a listing of the day’s specials but in some places the entirety of the menu is out there. What always impresses me and makes me hopeful that I’m about to enjoy a really good meal are those places where the board doesn’t contain a lot of items and where there aren’t printed menus. This tells me the chef is concerned with what ingredients were available that day and looked the best. Sure, there are generally a few dishes that are the restaurant’s staples – dishes for which they’re known and/or their clientele has indicated they love by ordering them often. But when you go back to a place and there are a half-dozen dishes that weren’t there the last time, it shows an attentive kitchen that cares about the food and the customers. I’m bringing this up because the same thought holds for strategy. We need to write our strategic thinking on menu boards and not on stone tablets. Like the ingredients in a market, conditions change. The way consumers use media changes. How they communicate with one another changes. Our goals – and theirs – evolve. Pouring through data may show us a new, underdeveloped audience. Our budgets may grow or shrink. Every one of those factors will require an adjustment to our planning. Not making those adjustments is the equivalent of living with an outdated, printed menu. I always shake my head when I see a Caprese Salad on a menu in the dead of winter. That dish is the essence of Summer and it demonstrates laziness and a disdain for quality. Strategic plans are living documents and need constant tweaking. Erasing and rewriting the board is a good thing, not a demonstration of vacillation about goals or tactics. While it’s absolutely critical to establish a strategy — to know why you are doing what you’re doing and how you’re getting to those goals, it’s also critical to keep checking and adjusting.